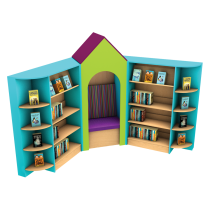 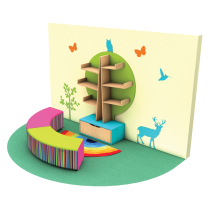 Maximise a small space with this multi-purpose unit, featuring shelving for up to 400 books, a child height table and 5 Drum seats. 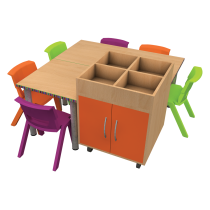 Ideal for intervention areas. 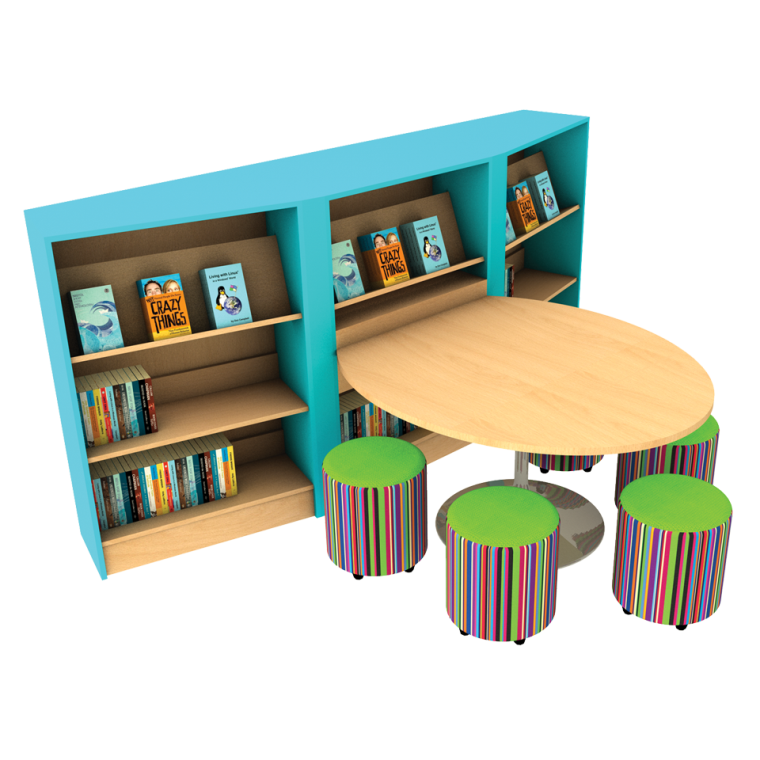 Also available in Gloss White board for an additional £5 per section, please contact us for details.